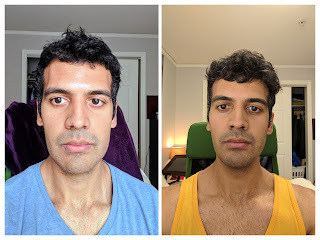 Wow, It's been 66 days since I last updated on my jaw surgery recovery. We're at Day 145, close to 5 months since the operation. As you can probably tell, I have almost completely forgotten I ever got jaw surgery. The only reminders now are the fact that I'm still wearing braces and elastics (sigh) and *drumroll* I can bite everything. That's right, carrots, almonds, burgers, weird salad things, you name it, I bite it. The last 3 months have consisted of my teeth slowly being pulled ever-closer to an ideal alignment. My molars are almost all touching now, the right side is still lagging slightly. Actually, that was a slight change, the metal bands that go around my upper back teeth were removed, and they glued on hooks on the inside of those teeth so that an elastic can be hooked from the inside of the upper back teeth to the outside of the lower back teeth. 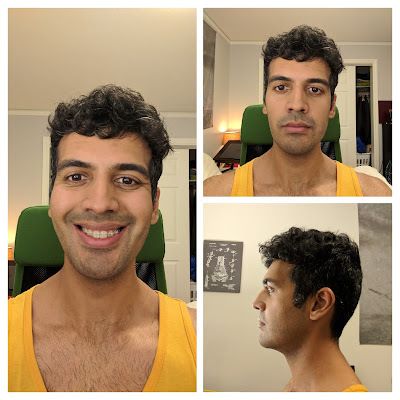 This maneuver is to help pull my upper back teeth onto the outside of my lower back teeth, where currently it's the opposite. 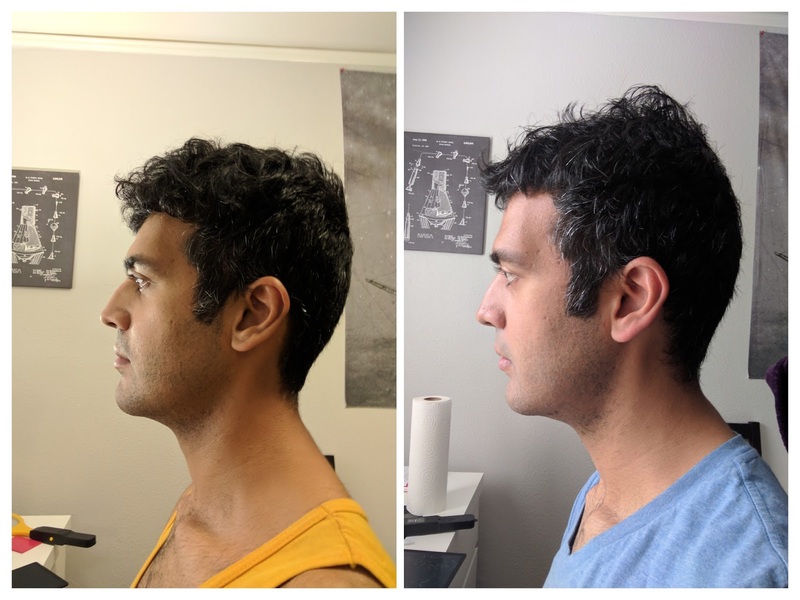 My mid-line is still there, but it looks like it's reduced a lot, sometimes I can't find it in the mirror. I'm pretty pleased with how things are going. I enjoy smiling a lot more nowadays. At this point I've re-learned most of my mouth maneuvers for things like spitting/talking/chewing etc. I feel as though somewhere in the last 4 months the swelling disappeared, or at least my perception of it. 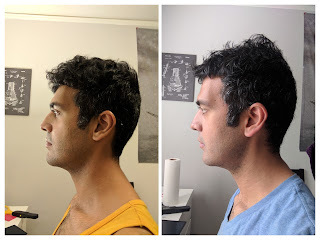 Here's some profile comparisons from April (around 1 month after surgery, blue shirt) to today (4-5 months after yellow).